Michelle Obama - Barack Obama.net! Michelle Obama, the soon-to-be First Lady, was born in Chicago in 1964. She was raised on Chicago’s South Side and showed advanced intelligence at a young age when she skipped the second grade. She graduated from Whitney Young Magnet High School in 1981, Princeton University in 1985 (majoring in sociology and minoring in African American studies), and Harvard Law School in 1988. 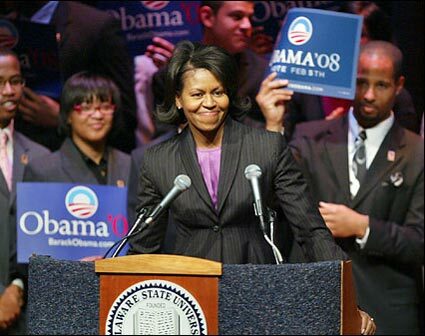 After graduating from law school, Michele worked as an associate at the Chicago law firm Sidley and Austin, where she met Barack Obama. She left the firm in 1991 to dedicate herself to public service, first securing a position in the Chicago city government as an assistant to the mayor, and later as assistant commissioner of planning and development. 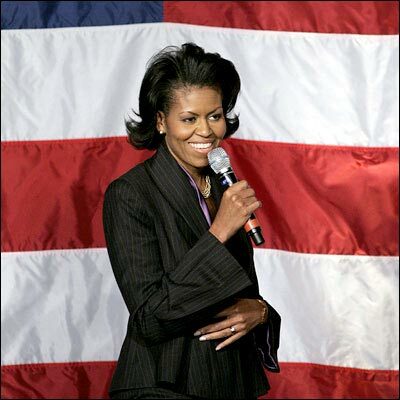 In 1993, Michelle became the executive director for the Chicago Office of Public Allies, a nonprofit organization. In 1996, she served as the associate dean of students at the University of Chicago, where she developed the University’s community service center. In 2002, she became the executive director for community affairs of the University of Chicago Hospitals, and in 2005 she was appointed as vice president of community and external affairs at the University of Chicago Medical Center. Michelle has been recognized by many magazines for her elegance, intelligence, and inspirational nature. In 2006, Essence magazine listed her as one of the 25 most inspiring women in the world. In 2007, Vanity Fair magazine listed her as one of the 10 best-dressed people in the world, and 02138 magazine listed her among the top 100 most influential Harvard alumni of all time. Michelle is now focused on assisting her husband with his presidential candidacy and caring for her two daughters, Malia and Sasha (Michelle is a wonderful mother). Michelle is universally respected, admired, and loved. Her intelligence, eloquence, and compassion are evident every time she speaks, and America will be blessed to have her as First Lady. Please view the following Michelle Obama vidoes below.